In the next year, Remisens Hotels & Villas will proudly present a new star hotel that will welcome its first guests in 2017. 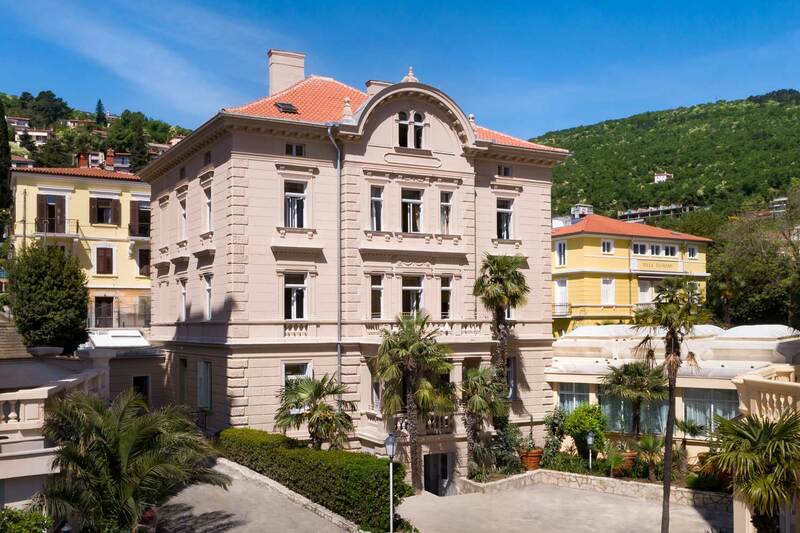 This family hotel located in the quiet Mediterranean oasis of Ičići, not far from the well-known marina, will be a new highlight of the Opatija Riviera. Its modern design, elegant interiors and spacious comfort provide the perfect formula for a remarkable and relaxing holiday. The hotel will have 180 rooms with charming balconies with fantastic views distributed over five floors. Families with children will have more than 50 family rooms at their disposal, and the hotel will also be suitable for people with disabilities, with some of the rooms functionally appointed to meet their needs. Apart from enjoying the magnificent view of the blue Kvarner Bay, both young and old guests will have access to a variety of services and amenities. The perfect place to enjoy the sea and sun is the hotel beach and big outdoor pool complex and sunbathing area, which covers almost 1,800 square metres. The infinity pool is a special experience that creates the illusion that its edge merges into the endless blue of the horizon. The Mini and Midi children's clubs with their mini cinema will offer plenty of opportunities for a fulfilling time, and the Active Club will offer various recreational and sport activities for an action-packed holiday. Gourmets will love the excellent culinary offer created exclusively for people with a discriminating palate. The spectacular views, idyllic and quiet location, superb comfort, impeccable service, and variety of facilities guarantee a relaxing holiday to remember, which is just what you'd expect from a four-star hotel.